George Street in Hove is often busy yet something seems wrong. Charity shops and empty shells are scattered throughout. The main entrance to the street – the lower end – is populated by several prominent pubs and betting shops which give a poor impression to those passing. The street gets by but it could be so much better. The somewhat prolific elected representative for Central Hove, Cllr Andrew Wealls, sparked an idea that I put to Olli Blair and Matthew Richardson at ABIR Architects which has resulted in the drawing-up of a series of ideas – some feasible, some unlikely – that set the scene for debate on the future of shopping in Hove. An obvious first suggestion from ABIR is an upgrade to the road’s street furniture and surfacing. This is not the first time that such a suggestion has been made. By 1909, the street had been laid with creosoted blocks and slab paving. This was perhaps its earliest improvement scheme. In 1962, a scheme to declutter George Street by Hove Town Hall architect John Wells-Thorpe was inaugurated by the Queen. Pedestrianisation was introduced in 2001 to protests from traders. Next from ABIR comes the entirely logical and not necessarily expensive proposal for prominent entrance markers at each end of the street in the form of high-impact gateway-style structures. Their idea to remove the building on the upper east corner so that George Street can be seen from Goldstone Villas is a little more ambitious. Several other buildings would face the chop too. 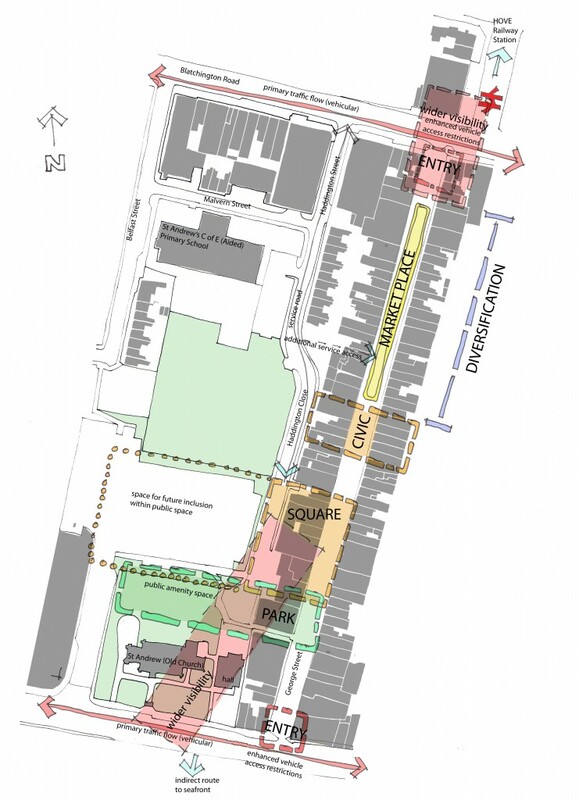 Several shops in the centre of the street could be sculpted out to form a market square and other buildings lower down could be removed to create a new green space between shopping areas and St Andrew’s Church. George Street was developed from 1852 by George Gallard (its namesake) and William Kirkpatrick as part of Cliftonville. The scheme also included Ventnor Villas and Osborne Villas. The street’s relatively small plots, which averaged 20ft across, began as artisan dwellings. 17 people were living in No. 18 in 1861. Most of the road was commercial by 1900. 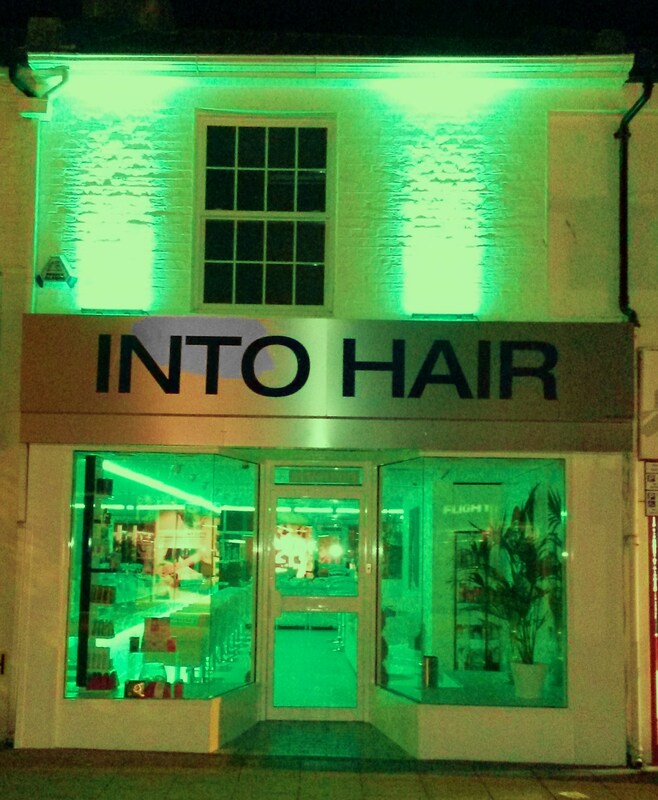 There are many traders who are keen to see standards raised including Lee Saunders from Into Hair who should win some sort of award for the most striking shop make-over in Hove. The salon’s neon lights are so bright that funky new lampposts in the middle of the street would have no effect whatsoever.